Grace May is actually excited about turning forty in a few months. Now that her boys are both in school and she has a stimulating new writing job, the next chapter in her life can fi nally begin. She can't wait to rediscover the intelligent woman buried under the layers of mother and wife. 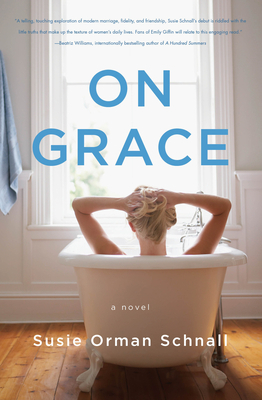 But when Grace suddenly loses her job and receives unexpected news, she stands to lose everything: her marriage, her best friend, and her sense of self. By her fortieth birthday party, Grace will realize who and what matter most. With laughter. With tears. With grace.